Authentic Laotian Eatery. 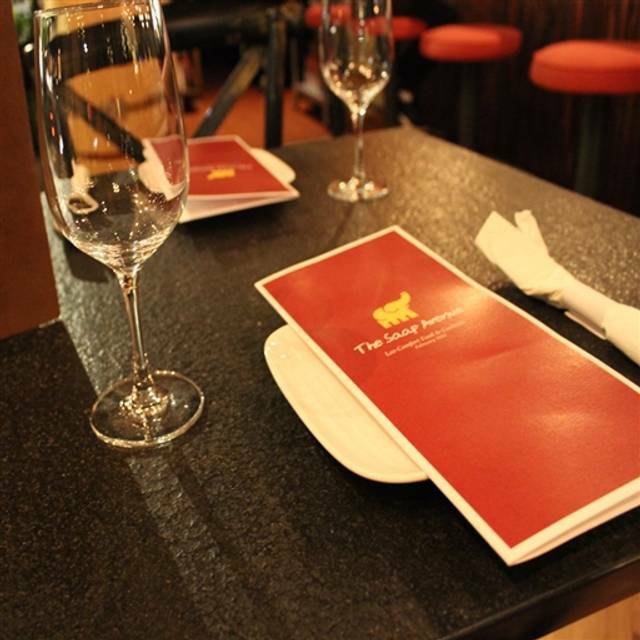 Elegant & Casual Dining Experience. Southeast Asian Inspired Cocktails. 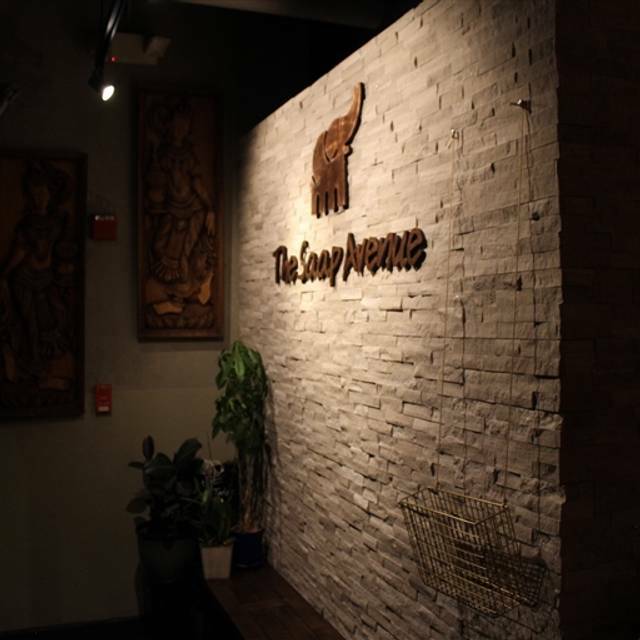 The Saap Avenue is a full bar and restaurant specializing in fresh traditional Laotian dishes such as Sai Aou (Lao Sausages), Thum Mak Hoong (Lao Papaya salad), and Ho Mok Pla (Steam Catfish in Banana leaves). 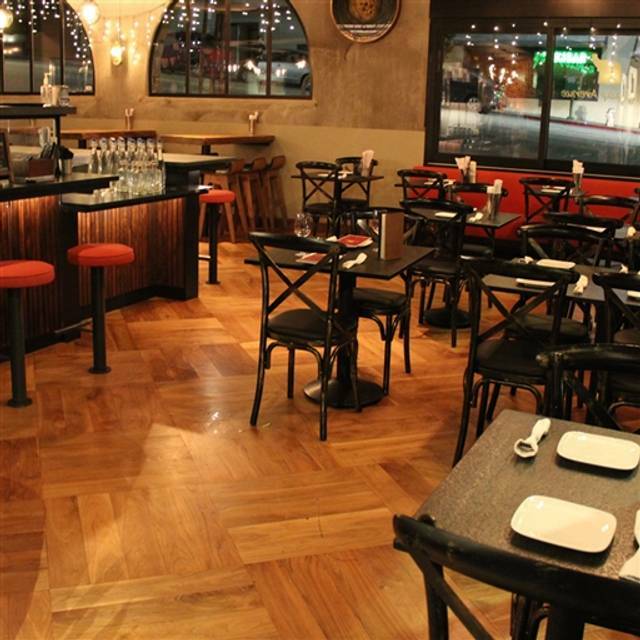 Come in and enjoy our casual and elegant restaurant setting with lots of positive energetic vibes. I have visited Saap three times within the last three months. Your food and service is excellent and the value is very good. You have some of the most tasty interesting South East Asian food I have ever experienced. I will be bringing six of us this coming Monday for dinner at 6:00PM -- the more of us, the greater the variety we get to experience. I have one observation -- I have driven by your restaurant numerous times (the head of Piedmont Avenue) and never noticed you were there. From outside your restaurant appears rather dark and is easy not to notice. Friends took me there originally and I discovered what I was missing. However, you have obviously been discovered, as I have noticed you have a good attendance. I will be a regular! The food was wonderful. Fresh, and well-balanced. We were with friends and everyone enjoyed their dishes. My only complaint was that the tables were a little small for four people--not a big complaint. The place has a really homey feel. I highly recommend it. We really enjoyed our dinner at The Saap Avenue. We had the larb rolls, a tofu larb salad (next time we'll get chicken), the short rib noodle soup! Next time we'll get the short rib plate and the duck curry. All very good. The tofu was crispy and tasty but got a little lost in the salad. The cocktails were really good too! Depending. Good but not great. Beautiful place, good food, not a great value. It was a bit pricey. Service and the food was good. The food was delicious! This was my first time dinning with Saap and its was a pleasant surprise. We’ll definitely be back! The salmon curry was excellent. I will only order wild caught salmon so appreciate that you don't use farm raised salmon. We really enjoyed our cocktails -- very creative and well-made! 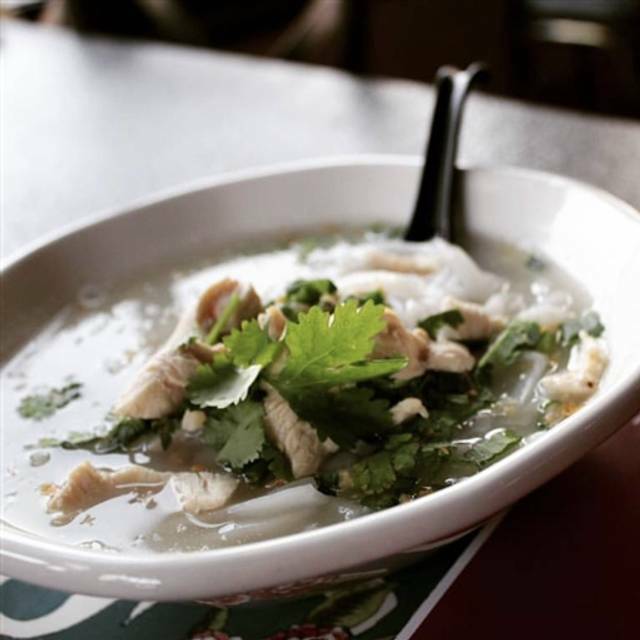 The food was amazing -- the chiang mai was just the perfect soup to offset the cold, dreary weather! This is a very special restaurant - the menu is amazing and everything very tasty. They have a full bar and make great cocktails. Art on the walls, beautiful interior and the service is outstanding: they are super friendly and really care. I love this restaurant! 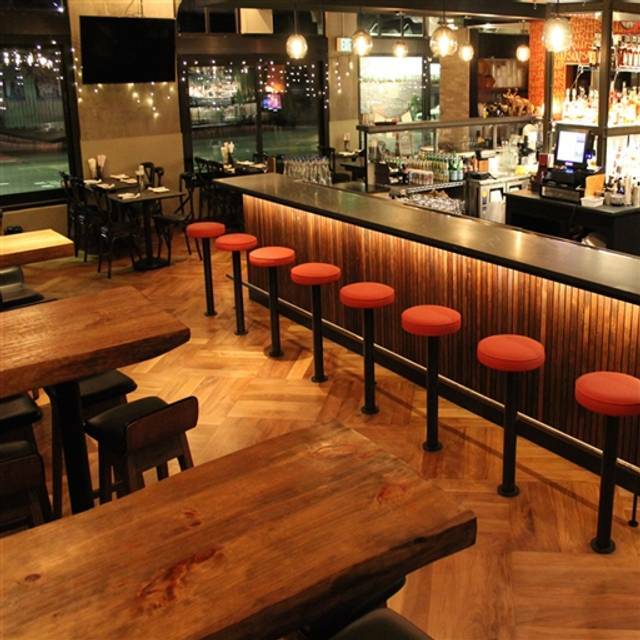 The atmosphere is inviting and comfortable, the food is fantastic, and the service is great. This is rapidly becoming one of my favorite restaurants in the East bay. Great for small groups and for couples. Try the Angle Wings, Crispy Tiger Prawns, and Lao Style Fried Spring Rolls for appetizers. Had been to Saap Avenue quite some time ago, but had forgotten how really good it is. As soon as I bit into my squid and shrimp salad, I felt as if I were back in Luong Prabang, where we spent over a week a few years ago. 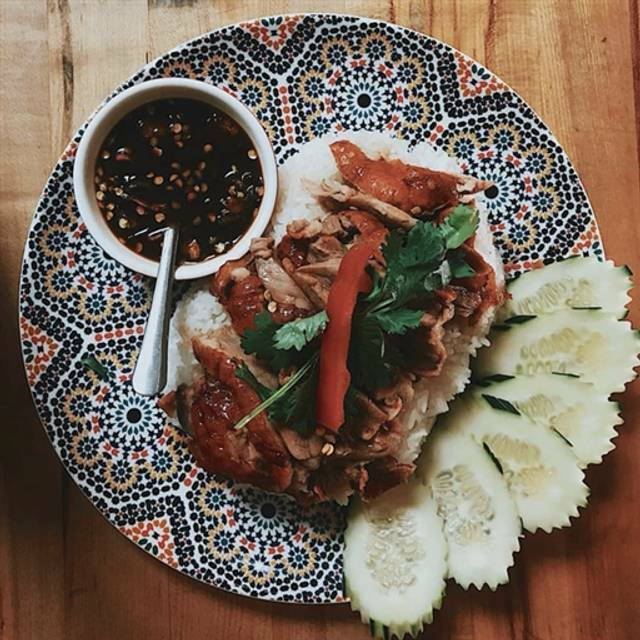 Southeast Asian food is my absolute favorite (I am Caucasian), and I love trying the many Southeast Asian restaurants in Oakland. Every dish we chose was delicious. I have a difficult time with really spicy food, but with a little water and rice, had no problem with the spice level here. We went after a 4;00 show at the Piedmont Theatre, and it made a great afternoon/evening outing. I would definitely recommend Saap Avenue to friends. Saap Avenue is a real find. The food is great and fresh - we had curry dishes (shrimp, chicken and duck) and a delicious salmon. Started with shrimp spring rolls.They wer huge and really tasty. Mixed drinks from the bar were well done. An overall good time was had by all. The menu was a bit limited but everything they did, they did well. Excellent yellow curry. A nice addition to Piedmont Ave. Comfortable, relaxed and delicious. Drinks were fun, food was good and the service excellent. First, I put in an Open Table reservation and they did not credit the points. There were all kinds of issues with the food and service this visit. Not sure what was going on beside being short staffed. The drinks were terrible and we sent them back. The food was ok but not as good as usual. for some reason, the dishes they made were not the same as we usually get. Maybe a different chef? 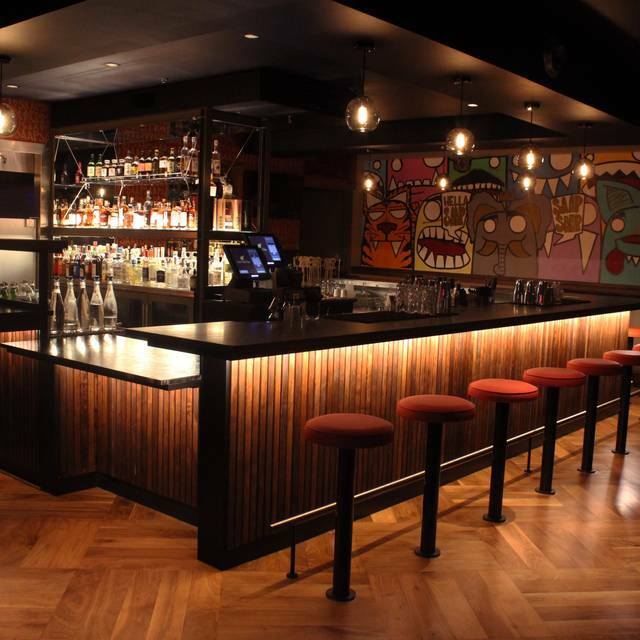 Great Lao dishes with a well stocked bar. Lovely decor, friendly efficient attentive wait staff, good food. One caveat- don’t forget to communicate your spice tolerance! Food was both creative and delicious. Spicy if walk for it. Calamari appetizer was pricey for what you get...about $1 per calamari. Service was poor. I imagine because of a lack of training...which hopefully will get worked out. I'm not an expert on Lao food. Most of the menu looks like most Thai restaurants, with a few dishes that are a little different. This place's food is good but unexceptional; it's on par with Champa Garden but Saap's interior is nicer. Larb Thai in El Cerrito has better food IMO. A lot good options and the cocktails were excellent! Great small bites, very lively atmosphere and the wait staff are friendly and attentive. However if you want authentic Lao food you may not find it here as it has been anglicised a bit to accommodate the masses - - baby steps. Still the food was good and I definitely recommend it and will be coming back! Pumpkin was bland in curry that was just ok. My friend had spicy i had medium spicy and really same except hers had more chiles placed. Everything was great and the sausage and whiskey selection were to die for! This was my second time dining here. The first time was great so I wanted to try it again with a different friend. I found it to still be a great place to dine if you’re a vegetarian and enjoy a really good and diverse cocktail menu. The location is nice too. Nice place for a casual get together with friends or a date. Staff is super friendly and welcoming. I enjoy trying new places when I visit the area but it is hard for me skip this place. I love it. Everything is great there. On many of the dishes they give you a choice of mild, medium, or hot. I like spicy food and medium was perfect for us. The noise level is not bad. It can be lively, but easy to talk to your people in your party. It has a lot of windows, which gives it an open feeling. 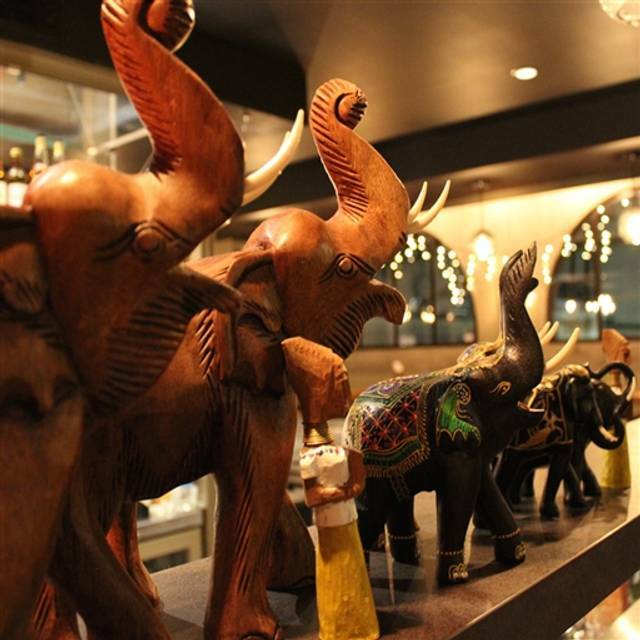 Saap Avenue has become our go-to place for date nights, partly because its nearby but also because it has a wonderful and lively atmosphere, great food and service, and a really good bar. this was a huge disappointment. the food was of mediocre quality - the pumpkin in the curry was tough and the curry flavorless; the larb was bland, the music was blaring...not a place to recommend or return to. Loved every dish we had and the service was excellent! Loved the food and location. Staff very friendly and accommodating. Highly recommend this place. Great menu for all diets. Saap Avenue is a TRUE gem! I had never had Laotian food before, and was delightfully surprised by the VIBRANT atmosphere and delicious spices + flavors infused with LOVE in every bite. 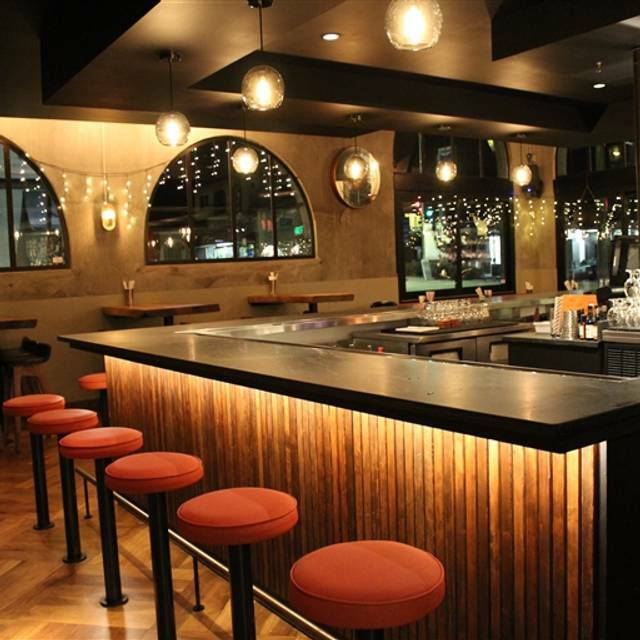 The atmosphere is very a-typical of Asian cuisine in that the space was very HIP + colorful! Highly recommend! Everything we ordered was excellent. Really tasty. Rice ball salad was the best. Only quibble—most of appetizers were fried. But they were good! The food was tasty, wine list by the glass was good, and service was friendly and pretty prompt. Our second visit did not disappoint! One bite and we're right back in Laos. Lemon grass and kefir lime flavors in the sausage, sublime shrimp panang curry, addictive rice ball salad and of course mango and sticky rice. Good wine list and fun cocktails. This was our 2nd visit, and we were DELIGHTED - the cocktails, food AMAZING/DELICIOUS & we HIGHLY recommend going!!! Really delicious food, we both had the shrimp curry panang and loved it! Terrific service too.